I made this card for a friend of mine Sasha, who is also a Stampin' Up! Demonstrator. It was her birthday earlier this month and I wanted to send her a surprise. Sasha has a blog too so please go and check it out by clicking here. The paper is just so cute I had to use it again. I never feel pressure to over embellish a card and this is one of those simple cards that I like to make. 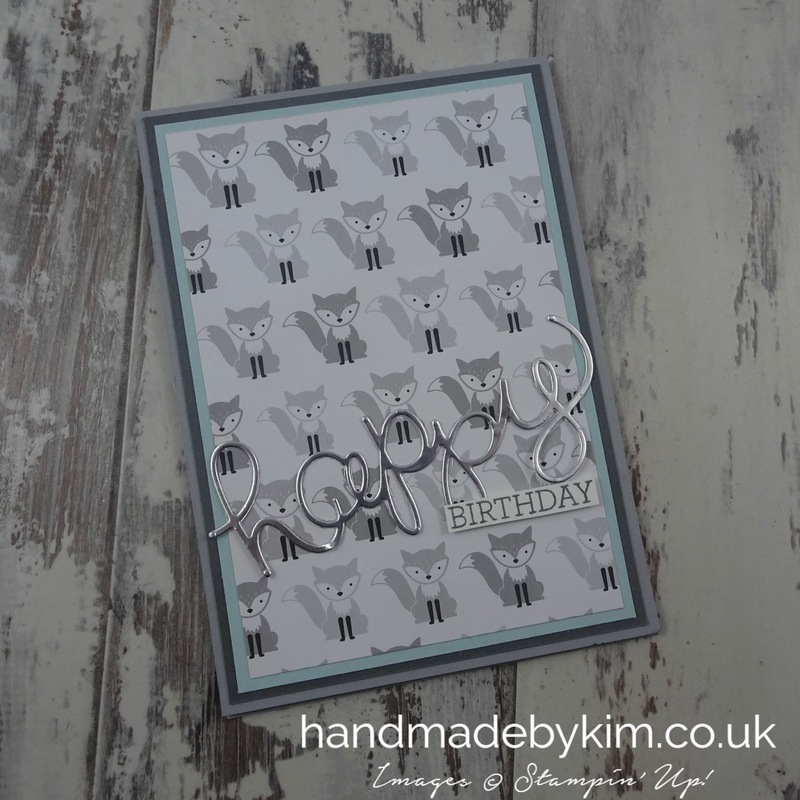 My last project used the same Designer Series Paper and also featured the colour grey - if you missed it, take a look at it by clicking here. Its interesting to see how different colours paired with grey look so different. Grey is very versatile and I have been meaning for ages to try it with yellow. I love this version which uses two greys - Basic Gray, Smokey Slate and Pool Party. That's it from me today. I hope to be back in the next week or two. Unfortunately I have WiFi issues at home so I am blogging from work on my lunch break today.